Hopes were running high for Justice League. 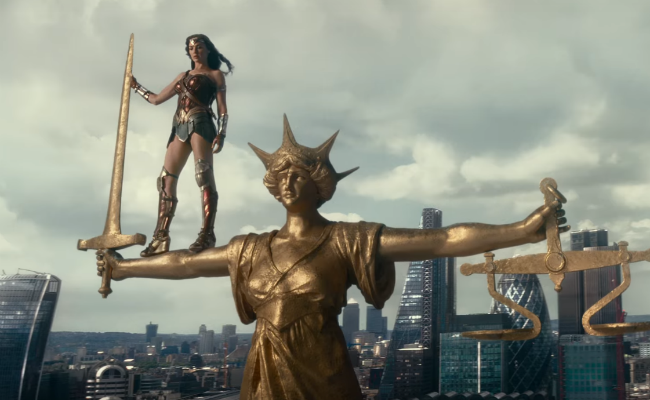 After the huge commercial and critical success of Wonder Woman earlier this year, it seemed that the DC Cinematic Universe had finally got it right with Patty Jenkins at the helm and a heady mix of adventure, humour and a touch of heart plus a star-turning lead. With Zack Snyder having to leave the project due to a family tragedy and uber-king of the comic book movie, Joss Whedon stepping in, there were huge amounts of hope that this would be on par with anything that Marvel has produced. How wrong we could be. This is a total shambles that is years behind anything the rival comic book company is producing and a massive step down from DC’s past hit. Superman is dead. Chaos is starting to run through the streets as the world needs heroes. when the mysterious Steppenwolf arrives from space to claim three boxes that can destroy the world, Bruce Wayne and Diana Prince, aka Batman and Wonder Woman, know they cannot stop him alone, so decide to recruit new superheroes: Arthur Curry aka Aquaman, a man who can control water; Victor Stone aka Cyborg, a former football star who is part man, part machine and Barry Allen aka The Flash, a kid with tremendous speed. Even these five joining forces maybe not enough to stop the alien and his army so they may need to look beyond the grave. Watching Justice League, you start thinking how is it that Marvel has managed to get it so right and DC keep getting it wrong? Is it because Marvel has realised that to keep the audiences interested in their product, they are continuously evolving, never treating their movies like just another smash-em-up spectacular and attempting to mix genres and never forgetting to entertain. With Justice League, the sole intention seems to be destruction and as much as possible, forgetting about a plot or character development. For two hours we watch familiar characters Batman and Wonder Woman bringing together lesser known characters Aquaman, The Flash and Cyborg slamming and being slammed into walls, bridges or anything that causes lots of rubble, picking themselves up, brushing themselves down and doing it all over again. Interrupted only by exposition in which we understand very little about what is going on. When we do get the action sequences, which is a lot, they all seem to merge into each other with huge familiarity. Most of the time, in darkness, so you can’t actually see what is going on (watching it in 3D darkens it even more and so it becomes almost impossible to work out the action). With this much violence occurring with flying monsters and a giant villain, you would have thought the effects would be something very special. They are terrible. They look like something from a computer game from 10 years ago. The baddie, Steppenwolf, looks so unconvincing, you feel you would suggest the makers see Paddington and see how to make a realistic computer-generated creation. The other thing that is very noticeable is how similar the wafer-thin plot is to that of The Avengers. Baddie wants a power source to take over the world, being followed by alien creatures attacking the planet and only a band of superheroes to save us. As for the “surprise”, which would have at least made the audience mildly excited, they can’t even keep that secret as it appears on the poster! The cast, which is brimming with top names, all seem totally wasted. J.K.Simmons might as well not bother turning up as Commissioner Gordon as his only purpose is to turn on the Bat light. Amy Adams, returning as Lois Lane, doesn’t get much screen time in between the chaos. It’s up to the lead superheroes to make an impression. Ben Affleck comes across bored as Bruce Wayne while as Batman, he relied upon to sit on something high, making you ask how he got there in the first place. 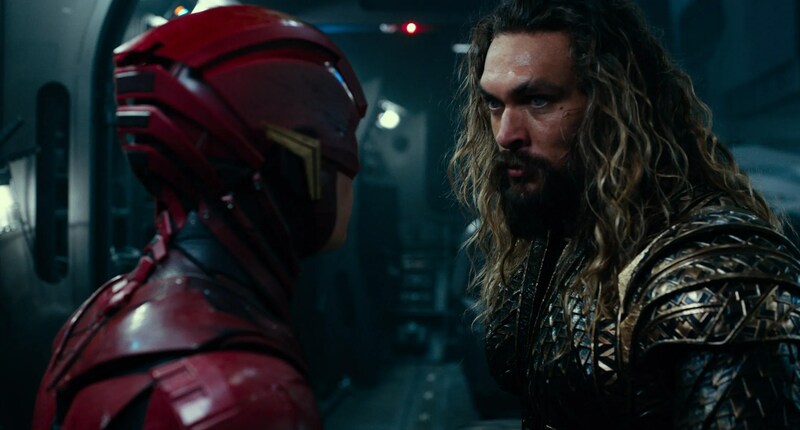 Jason Momoa and Ray Fisher as Aquaman and Cyborg are both fairly unexciting when called upon to act and Jeremy Irons as Alfred is a missed opportunity for lighter relief. 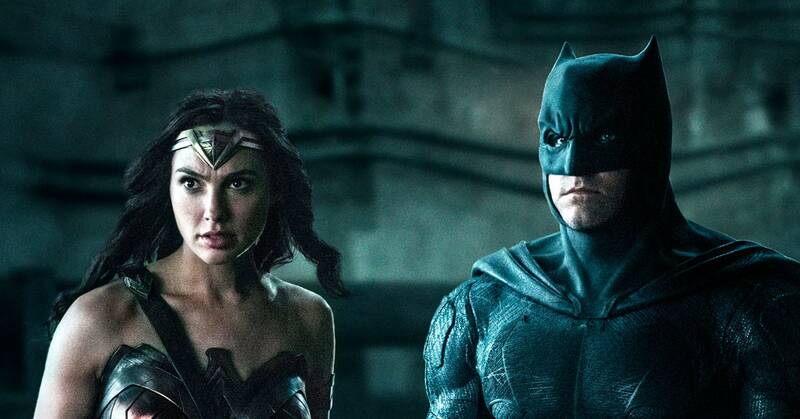 It’s up to Gal Gadot and Ezra Miller to bring the film together. Miller, as the over-excited Barry, is the comic relief and while he does deliver, the jokes aren’t strong enough, so while there are splatterings of humour, they cannot save the film from being dull. Gal Gadot, who saved Batman Vs Superman: Dawn of Justice and was magnificent in her stand-alone movie, is, once again, the best thing in the film, understanding her character and giving it everything she has. There does seem quite a lot of times when the camera is focused on her from behind, especially when she is wearing leather trousers. Justice League isn’t as bad as BVS: DOJ or Suicide Squad but it is a long way off Wonder Woman and miles away from ever upsetting the Marvel crown. With the new Avengers film just around the corner, which boasts around 40 superheroes, maybe the DC cinematic universe should look at what their rival is doing, how they are doing it and why it has been the success story of the 21st Century. If they continue this way, constantly failing the way they are, then people will be staying away from superhero movies and that would be unfair for those who do like this kind of blockbuster. Maybe they should get Patty Jenkins to direct them all because this, even with Whedon on board, is dull, dull, dull! Please nate: there are two post-credit sequences. One is alledgedly comic, the other is obviously the lead-up to the next movie. Oh dear!